Save SAR 113 (25.17%) – Earn 32 Shukrans What is Shukran? Shukran is the Landmark Group’s award-winning loyalty programme in the Middle East, which allows you to earn Shukrans when you shop any of our brands. Easy to maintain and use, this table lamp boasts a fuss-free design to blend conveniently with your decor. 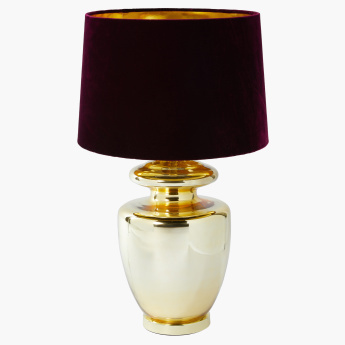 Featuring a reflective stand and a contrasting shade, the table lamp promises to enhance your interiors.